Mayor Hamish McDouall of Whanganui, New Zealand: Tell Incheon Namdong-gu, South Korea, No Ties until They End the Torture and Consumption of Dogs and Cats. Whanganui, New Zealand is considering forming a sister city or similar relationships with Incheon Namdong-gu. Click HERE to learn more. In Incheon Namdong-gu, there are countless dog farms, slaughterhouses, markets and restaurants where the dogs, who are tortured their entire lives, end up being slaughtered in the most inhumane ways, such as by electrocution, hanging or beating; and then thrown into boiling water – sometimes while they are still alive. In many places, dogs are being killed in full view of other terrified, caged dogs; and this takes place in public and in broad daylight. In addition, many abandoned and stolen former pets end up in this industry, and are subjected to the same cruelty. 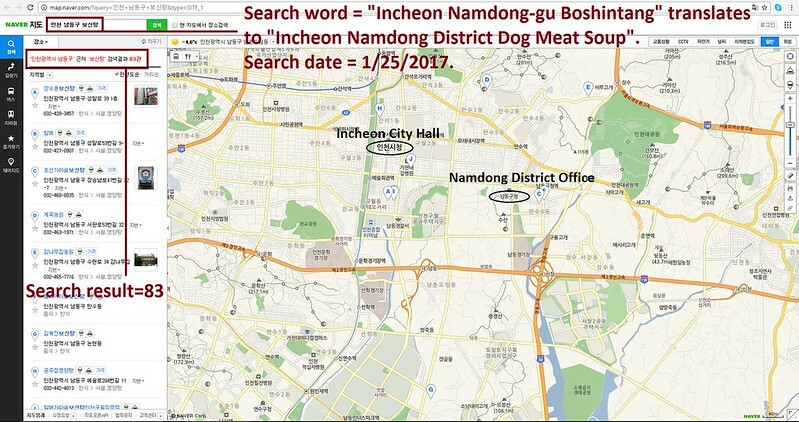 A Search Engine reveals the sickening scale of Incheon Namdong-gu’s dog meat demand. 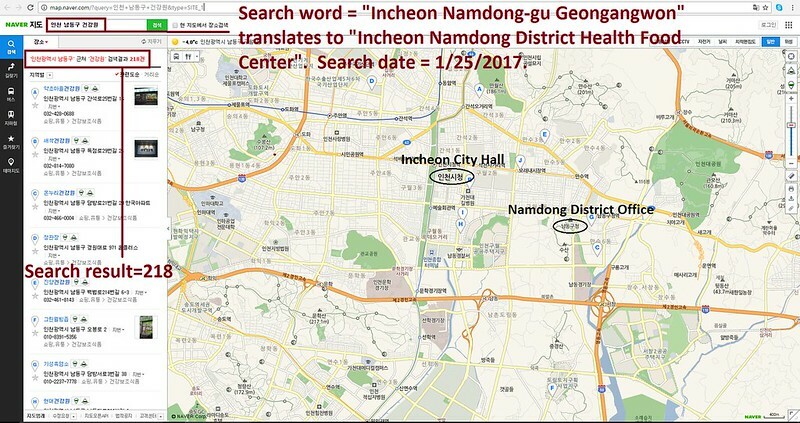 The searches resulted in: 218 Health Food Centers; and 83 restaurants in and around Incheon Namdong District. Even if half of these ‘Health’ Food Shops and restaurants serve dog and cat ‘ingredients’ in one form or another, just imagine how many dog/cat slaughterhouses must be present in and around Incheon Namdong-gu in order to supply all of these outlets. Please sign petition, call, write and email the Whanganui Mayor TODAY! We understand that you are considering ways to form mutually productive and positive relationships with Incheon Namdong-gu District in South Korea, for example: creating a sister city relationship. Do you think that your citizens would benefit from forming a cultural relationship with a city that is profoundly indifferent to the horrific cruelty being carried out within it? If cities within South Korea are sincere in wishing to form any positive relationships with cities such as yours, then they must prove their sincerity by taking immediate steps to ban the sale or consumption of dog and cat meat products, and they must close down all their illegal dog farms and slaughterhouses, markets, truckers, and restaurants that serve these animal products. We are asking for your help: please contact Incheon Namdong-gu and let them know that you would not be willing to form any relationship whilst the horrendous dog and cat meat cruelty is in progress. Hello, I’m calling to speak to someone in the Mayor’s Office to ask for their help on an important issue regarding new business and cultural relationship opportunities that are being considered with Incheon Namdong-gu District in South Korea. If I could explain: dog-meat consumption is currently being practiced in that city, regardless of the fact that it is illegal under South Korean Law – but the laws are not enforced, despite the growing opposition from pet owners across South Korea, and throughout the world. The dog and cat meat trades involve extreme and widespread animal cruelty, and the animals suffer unimaginable pain and distress. They cannot speak for themselves which is why I am calling on their behalf. And, I believe that, before any relationship is formed, your city would wish to be made aware of this issue, as you would not want to be affiliated with a city where illegal and immoral torture is being carried out on any animal, and particularly not on ones that are loyal, trusting creatures, which look up to us humans as their guardians. So, I am asking you to please speak with your counterparts in Incheon Namdong-gu to urge them to enforce their own laws, not ignore them, and to show compassion to their companion animals, and also respect to their own citizens, by bringing these trades to an end. With the Winter Olympics coming up in 2018, this is the time to make change; this is the time to stop the illegal, inhumane and unnecessary cruelty. I know that South Korea has many beautiful, admirable and noble practices and customs worth preserving, but this is not one of them. No matter where you live PLEASE SHARE these actions with your friends – especially those who live in Whanganui!